Completing an ultramarathon is an extreme challenge even with the best preparation. For three young athletes training in Afghanistan, it is almost impossible. 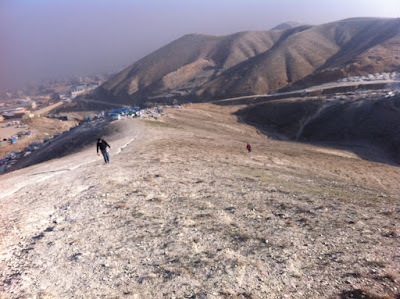 For the last few months, Kubra, Arzoo and Mahdi have been battling insecurity, street harassment and pollution as they run through the streets and hills around Kabul. In February, they will attempt to become the first mixed gender team from Afghanistan to participate in an international running event. The 250 km race, RacingThePlanet: Sri Lanka, is organized by the 4 Deserts Race Series, and starts on 14 February 2016. It’s a 250 kilometer / 155 mile, 7-day, stage race in which competitors must carry everything they need for the race on their back. The average backpack will weigh 9 kilograms/ 20 pounds. A group of international competitors from more than 20 countries will compete alongside the team from Afghanistan. Kubra, Arzoo and Mahdi will race together under the name Team Sahra, which means ‘desert’ in Dari. 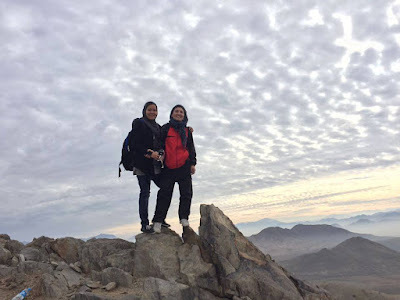 They hope to repeat the 2015 success of Nelofar and Zainab from Team Asma’i, who were the first Afghan women to complete an ultramarathon. Both teams were selected, trained, and supported by Free to Run, a non-profit organization that uses sport and fitness to empower women and girlsfrom conflict-affected communities. Mahdi has already proven he is willing to go out of his way to support Afghan women in sports. 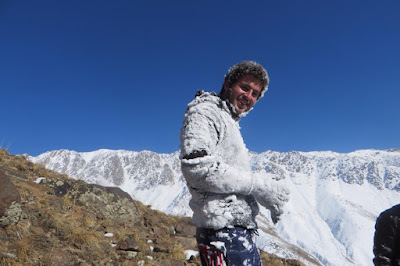 Last autumn, he ran alongside Nelofar to complete the (unofficial) Kabul Marathon. An aspiring coach, Mahdi has high dreams for his fellow runners. “They are great and I want to make them the best,” says Mahdi. “We should learn and teach all Afghan [people] that there is no difference of rights between men and women. Even with the strong support from Mahdi and Free to Run, Kubra and Arzoo still face barriers in their community. During one of their recent training runs, a disapproving bicycle rider hit Kubra on the face. Kubra and Arzoo both kept running after the incident. Team Sahra’s race entries have been sponsored by RacingThePlanet, a leading retail store for all outdoor equipment and gear who is also the title sponsor of the race. Regular race updates will be provided on the 4 Deserts and Free to Run websites.